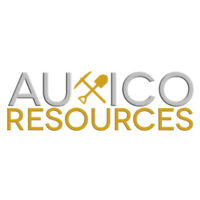 Auxico Resources Canada Inc. (CSE: AUAG) is pleased to announce sampling results from a recent campaign carried out over some selected areas on Auxico’s 100% owned Zamora Silver-Gold Property in Mexico, which confirm the high-grade nature of the silver and gold mineralization. Sample number 842 was channeled in the volcanic breccia over a width of 80cm and returned a very high-grade result of 4.027 kg/t Silver and 29.2 g/t Gold. This sample is located in the La Franca title, which is an area of 12 hectares in the northeast part of the Zamora Silver-Gold Property, and within the Campanillas claim. Zamora has a surface expression of 3,376.63 hectares. Auxico does not hold title to La Franca, however, La Franca is located 600 metres south-west of the Campanillas mine, form which samples assayed as high as 14.6 kg/t Silver and 15 g/t Gold. The structure can be followed for some 600m along strike with the Campanillas Mine which is indicated by numerous workings between the two historic mines, La Franca and Campanillas. The breccia, which was sampled at La Franca, is characterized by stockwork veins containing galena, sphalerite, possible silver sulphosalts, malachite, and chalcopyrite. Sample no. 842, as provided in the table above was selected at the end of stope, which appears to be located only 80m from the boundary with the Campanillas claim, which is part of Zamora. Previous sampling of La Franca returned 1.717 kg/t Silver and 12.96 g/t Gold from a grab sample in the same location at La Franca. Of five samples taken over various widths at Aguamas, four returned very good gold grades, the best of which was taken over a width of 70cm outside the Aguamas 1 portal, which returned 14.70 g/t Gold and 34.30 g/t Silver. The Aguamas samples were all taken from two areas. Chico Pico, a showing in the extreme northeast part of the property, returned some interesting silver grades. Of the 24 samples taken, only the best results are provided in the above table. Technical information on the Zamora Property can be found in the Company’s Technical Report, dated August 16, 2017 (amended) and written by Joel Scodnick, P.Geo., QP, and independent consultant to the Company. This news release was reviewed and approved by Joel Scodnick, P.Geo., an independent consultant to Auxico, in his capacity as a Qualified Person, as defined by National Instrument 43-101.